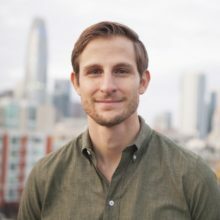 Aaron Jacobson joined NEA in 2011 and is a Partner focused on investing in entrepreneurs seeking to build, scale and secure the next-generation of SaaS applications, big data platforms, and cloud infrastructure. He serves on the board of Tigera and illusive networks, and is an observer at NGINX, Streamsets, Move Guides, Mimosa Networks, Juvo, and Built Robotics. He has also worked closely with many other NEA portfolio companies including Box (NYSE:Box), Databricks, MapR, UnifyID, Bloom Energy, and Coursera. In 2016 he was named to Forbes Magazine’s “30 under 30” in Venture Capital and the Silicon Valley Business Journal’s “40 Under 40”. Prior to joining NEA, Aaron spent two years at Qatalyst Partners in San Francisco. At Qatalyst, Aaron worked as an Analyst engaged in various M&A transactions, which included the sale of PopCap Games to Electronic Arts, the sale of Riot Games to Tencent, the strategic investment in Go Daddy from KKR / Silver Lake / TCV, the sale of Palm to HP, and Conexant’s sale to Golden Gate Capital, among others.